As an instructor myself, I’m very picky about who I train with. I have a list of things I’m looking for and another list of things that turn me off to a pole teacher. With that being said, it’s not that certain people are bad instructors, more that they aren’t the right fit for me. I’ve found that training with the right person can really speed up one’s progress (in any discipline, really). The first thing I usually do when I’m interested in taking a class somewhere is look up a video of each instructor or check out her Instagram. This will give you an idea of what the instructor’s dance style is, what tricks he/she does, how advanced the instructor is, and what sort of quality of movement he/she has. You will also probably find out if the instructor is a performer, competitor, or otherwise. If you can determine the instructor’s style ahead of time, you will probably end up in a class that you find more enjoyable. 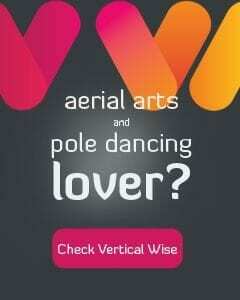 I personally LOVE lyrical dance and also acrobatic/gymnastic pole. I don’t particularly enjoy doing exotic style dance. I definitely seek out classes that are taught in the style that I enjoy doing. Keep in mind that instructors may dance several styles, so don’t rule him or her out by just one video. Next, what tricks does your potential instructor do? First, if all the tricks I’ve seen the instructor do are tricks I already know, I’m not particularly interested. Next, I look for tricks that are things I’d like to do. I’m always on the look-out for new back-bendy tricks, power tricks, and spin pole combos. Also think about what your weaknesses are as a pole dancer. You might want to train with someone whose strength is your weakness. A lot of instructors will post their recent combos and tricks on Instagram or Facebook, so you might even be able to figure out what is on the agenda for their next class. If your goal is to win a competition or perform in shows, you should pick an instructor who is already doing that. Right now, I really want to place first in a competition, so I’m training with the amazing Tiffany Rose Mockler, who has won many competitions. After checking out a possible instructor’s videos and Instagram, I try to find out what his or her training and experience is. Is he home-trained? Is she certified? Is this person continuing their training and keeping up with new pole trends? There are many polers who are home-trained. There are also many people teaching who are home trained. Many of these polers look great as dancers, but I’m always wary of them as instructors. I know there are always exceptions to the rule, but in my experience, home-taught polers cannot break down the technique of all the “essential” tricks and they have some bad habits. It’s really hard to know if something is technically correct if it’s been working for you for years and you’ve never trained with someone who told you to do it differently. There have even been tricks that I taught myself after watching a YouTube video, and I thought I was doing them correctly, but later I was taught a “better” way to do them. Anyway, I think it’s helpful to check in with other great polers for tips. Next, is the teacher certified? This may not matter, but having a certification from a reputable organization does tell you something about his or her training. I never trust online certifications, it really has to be in person. I think elevatED and XPert are two good ones (among others). When I received my first certification, I had already been teaching for one year, and I knew all the tricks that were reviewed. However, we went over many essential teaching guidelines such as how to spot particular tricks, regressions and progressions of tricks, example warm-up and cool-downs, how to put together choreography, and more. I definitely felt like I came away an improved instructor. I also like to see that the instructor is currently training and learning new things. I don’t want to train with an instructor who teaches the same things every few weeks or months. I like to see my teachers working to keep improving. With that being said, knowing who she is training with or has trained with can be helpful too in determining the quality of her technique. Additionally, an instructor should be capable of spotting you adequately. I used to say that any instructor should be able to pick up any of her students. That’s a bit of an overstatement, but I definitely feel better about trying some crazy new inversion if I know my teacher will catch me! Now, if the instructor uses mats and knows proper spotting technique, he/she doesn’t necessarily have to be able to deadlift your bodyweight, but rather to safely guide you to the floor. If you take a few classes with someone, keep an eye on how they spot and if they look like they know what they’re doing. The last thing on my check off list is contact points. I always want my instructor to tell me the main points of contact of every trick. This is not only necessary for safety, but also helps the student get into the correct position. Even if the instructor doesn’t start off by naming the contact points, he or she should at least be able to tell you what they are if asked. Now for the things that really turn me off to an instructor. I think the most frustrating (and potentially dangerous!) is the “Just do it!” attitude. I’m not talking about an instructor pushing you to your limits, I’m talking about when something is not working for your body and your instructor’s best advice is to just keep trying it. If something is not working, it’s for a reason! Your body isn’t in the right position, you’re not strong/flexible enough yet, the move is too advanced for you, etc. The instructor should either be able to correct your position/technique or give you modifications to build up to the trick. For years, I struggled to get my splits. I wanted them so badly that I trained them all the time. Most of the people I trained under just told me to sit in my splits everyday for a certain amount of time. Needless to say, I did that! I ended up with minor tears in my hamstrings numerous times. Finally, I started training with a general circus coach (and later a contortionist) who was able to correct my alignment. I almost immediately gained noticeable flexibility and now I can do many (open) splits! There are certain tricks that can really make an instructor’s technique stand out. Aerial inverts are one (you’ll know when you see a good one…). Leg hangs are another. I see SO many people (including instructors) doing leg hangs incorrectly. Even a basic climb is a good way to check someone’s technique (are they using a forearm? Pointing the back foot?). Another pet peeve is teaching students basic inverts and shoulder mounts with a kick. This is not safe! EVERYONE is capable of kicking hard enough to get upside down. This does not mean you are strong enough to hold your weight once you’re head first to the floor! Scary. This also just doesn’t put your body in the right position and looks terrible. If someone isn’t strong enough to lift themselves upside down, there are ways to use controlled momentum to help, or some other sort of assistance until the student builds up enough strength to dead lift. Lastly, I don’t like to see my instructor with flexed feet and bad lines. There are certain tricks where maybe a flexed foot is ok, or maybe my instructor has been teaching for several hours and is tired. But if I consistently am noticing bad lines, it’s annoying. 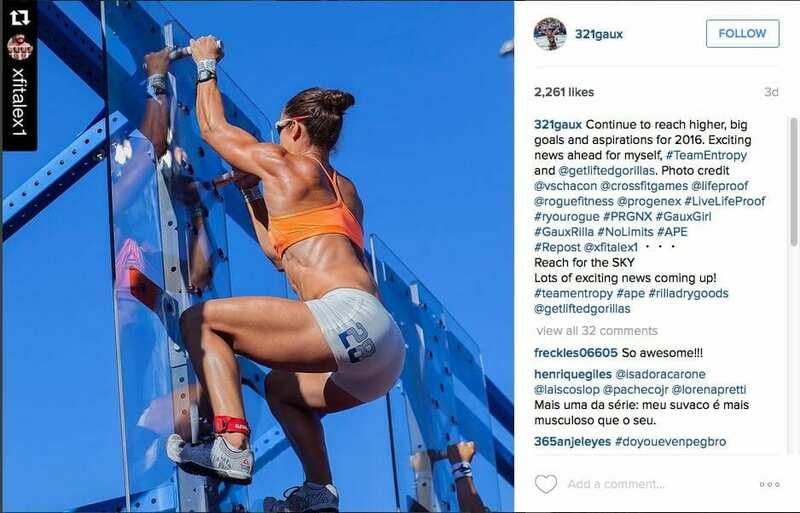 It looks like she has not spent much time polishing her movement, and that’s just not someone I want to train with. I hope this helps you find the right teacher! Please share any other things that have helped you to find the perfect instructor.